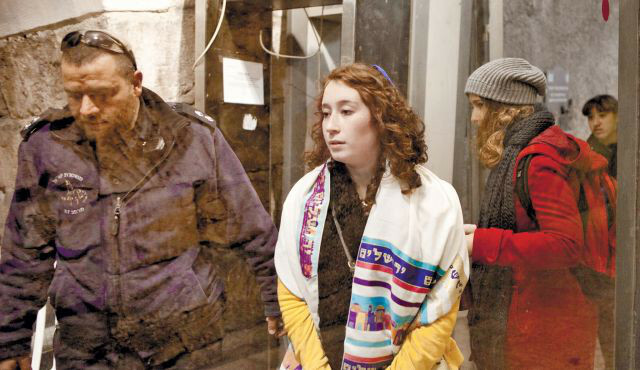 Emily Wolfson was wrongfully detained at the Kotel in Jerusalem on the instruction of the Orthodox authorities for the non-existent "crime" of wearing a tallit. This shameful abuse of power and misogyny represents a dangerous attack on all of us who love our Jewish tradition and faith and seek to practise it with devotion and commitment. The State of Israel has fallen into disrepute by its willingness to carry out the dictates of the ultra-Orthodox, who seek to disenfranchise women and wrongly claim that there is a “Jewish law” forbidding women to wear prayer shawls.